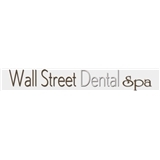 Wall Street Dental Spa (New York) - Book Appointment Online! Overall, very satisfied with visit. Was a fairly long operation (1+ hours) but it went by much faster than I expected.